Of all the AMERICAN IDOLs over the years, I think I’m most partial to the Season 7 champ, David Cook, the down to earth rocker with the growl we know and love. When I was given the chance to chat with him for a bit about his part in this weekend’s new episode of EXTREME MAKOVER: HOME EDITION, I jumped at the opportunity. Sunday’s episode features the EM:HO team helping the Cowan-Brown family, a group of people that David holds close to his heart. Read on to learn a little bit more about David as we chat about how he got involved, what surprised him about being a part of the show, what his second album has in store for us, and what he’s been doing at his hotel in Vancouver! So we’re here to talk about EXTREME MAKEOVER: HOME EDITION. Tell me a little bit about how you got involved in this particular episode. I was fortunate enough to get to meet the Cowan-Brown family before all of this. I have family in a town very close to Bunker Hill, and they had brought the family to one of my shows, I got a chance to see them, and Kori kind of gave me the meat and potatoes version of her story, and I was really moved by it. We tried to work something out to get involved. Lo and behold, EXTREME MAKEOVER comes into play, and they reached out to us. They somehow found out about the connection and asked if I wanted to be involved. I really jumped at the chance. I think it’s great what they do, for families who need it. I’m amazed every time I watch an episode of that show because of just how much they really can accomplish. And then an hour later, I’m in tears. [laughs at my crying] Absolutely! What was it like – how involved in everything were you? Actually down in the dirt, building? I was kind of all over the place. I did a little bit of everything. I got to hang up some drywall, got to help with some landscaping, got to help with some room design. I remember, oddly, that one of my favorite things to do, on the front facade of the house by the doorway, I got to put the decorative stones on the side of the house. I don’t know why, but I enjoyed that! Was it as emotional to be a part of the show as it is to watch? I swear there are episodes where a preview alone has me bawling? For me, it all kind of happened so fast, I didn’t get too much of an opportunity to really reflect on it. watching the reveal, and seeing the family, that was pretty moving. Again, this is a family who really struggles to make ends meet. To see them get the push in the direction that they need, to know the story going in a little bit, and really see, they truly deserved it. I don’t know, there’s little pockets where it all kind of hits you, but to kind of tear down and put up a house in a week, it’s pretty go, go, go [laughs]. I know, it takes me like a week to hang a picture in my house. [laughs] It’s taken me a year, so no worries! What surprised you most about being involved – is there something that you may not have realized went into building a house in a week? There’s a lot of stuff I didn’t realize went into building a house at all, let alone a week [laughs]. To put up drywall, to do all that is one thing. To put the shell of the house together. What I thought was interesting was how much effort and how much organization went into the room design specifically. That was way over my head. To see kind of all these moving parts in play, all at the same time. Really, the whole process was large, just really large. And Xzibit’s involved again this week – did you get to interact with him? Oh yeah, no, actually, Xzibit and I went out and did an auction. Kori and her family made these pillows, and they’re called “1k Pillows” and she always kind of had this dream of selling one of these for $1000 for charity, and we were able to sell a few of those at auction. It was very cool. I actually own one! Switching gears just a little bit – talking about the second album! I follow you on twitter, see all the updates about writing, things like that. We’ve heard before that you kind of take a theme, and start writing off of that. Do you have a theme for this album? It’s forever changing. I tried to go into this record without any preconceived ideas. Because I really do feel like this is my first record, which is strange. I think with everything happening so fast last time, I was on the IDOL tour, working on the record, and all of that, so I tried to focus on the end result, as opposed to the process. This time, I’m really trying to focus on the process, which is really a bit unnerving. And so, it’s really getting into it, I’m trying to keep my options open. Right now, I’m just writing. I’m not trying to write a single, I’m not really trying to write anything, I’m just writing. I’m really excited to see what’s come out. Who are you collaborating with right now for this album? Right now, I’m actually in Vancouver, and I’m writing with Brian Howes. Brian was one of the co-writers on my first single Light On. I’ve been really excited with what we’ve come up with. I’ve gotten write with Sam and Sluggo again; we wrote Breathe Tonight together. I’m writing with Gregg Wattenberg again, and Johnny Rzeznick. It’s great. Kind of getting back into a different pocket, just trying to write from an honest perspective. That answers one of the main questions I got when I put out a call to the fans for questions. Is there a different approach that you’re taking with this album? That makes perfect sense. The first album was your first one post AMERICAN IDOL, and now here’s this second one where you really have to stand on your own. Right! It’s unnerving and it’s scary, but I’m really loving the pressure. And it’s all pressure that I’m really imposing on myself. This last record did amazing things. To have a platinum record, and to see these year end charts, and see it kind of up near the top, it’s lofty, man, so the goal now is to top that, which is no small feat. The par got set very high with this first record. Is there a short list of producers that you’re thinking about or are you not quite at that point yet? We’re not really at that point yet. If somebody called tomorrow, and said Brian Eno wants to your record, I’d be like, yeah, okay! But yeah, we’re still kind of in the infancy as far as producers go. For us, it’s going to be a matter of finding the right guy. I think the dynamic on this record is going to be different, and we definitely want to nail down the right guy for all parts of the process. I had a couple questions come up about what kind of music you’re listening to these days. What are the last few CDs you bought? I bought the Anberlin’s greatest hits record. I don’t even remember what the name of it is. It’s a collective of all their records. In fact, hold on, I’m going to tell you. It’s called “Blueprints for City Friendships.” I bought the last Acceptance record, “Phantoms,” because I lost it. And I bought “Monster, Monster,” the newest The Almost record. Lots of people wanted to hear about whether you’re getting in shape for the Race 4 Hope for this year? I actually have. The hotel that I’m staying at here has a great treadmill! I usually get back from writing sessions at around 11 and head right for the gym! Do you miss the anonymity you had before fame? Um, sure. There are times when I just want to grocery shop [laughs]. I’m in an extremely fortunate position. To be able to play music for a living at all, and on top of that to be able to do great things like this EXTREME MAKEOVER thing or the Race 4 Hope, those are all things that kind of come with it, and so yeah, my level of existence is good where it’s at right now! 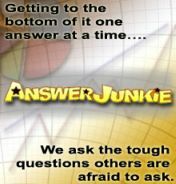 Last question, bringing us full circle – why should people check out this episode of EXTREME MAKEOVER: HOME EDITION this weekend? I think, first and foremost, it’s not about me being involved, it’s not even about the show, it’s about this family. The Cowan-Brown family, they really are that standard American family that are going through things with the economy and to have the kids, and specifically Kori to go through what she’s going through, to see her level of resolve to try to make things around her better, that’s more than enough reason to tune in! What a pleasure, am I right? Be sure to check out David Cook on this Sunday’s all new episode of EXTREME MAKEOVER: HOME EDITION, airing at 8PM on ABC. He’s such a class act, genuine, humble and nice. He’s the anti-rockstar, lol. Great interview. Thanks! I love David’s concern for others, and that he puts action to his words. Check out The Race 4 Hope site, plus watch EM:HE on Sun. I also like his taste in music. I love Anberlin. Can’t wait to hear some new music from David and his band. But I will wait patiently until he has it the way he wants it. It will be interesting to watch David working in a construction site and dealing with problems that involves tile, paint and cement. Will Ty use his megaphone to pressure him? Hmm.. I don’t think so. LOL! when you think you could not love this guy anymore, he proves me wrong!! and I’m alright with that. can’t wait for this Sunday’s episode of Extreme makeover! Thank you for this!!! I keep falling “in love” with him every stinkin’ time..I swear I’m like 16 again…and I’m 37!!! LOL!!! I can’t wait for the show on Sunday. 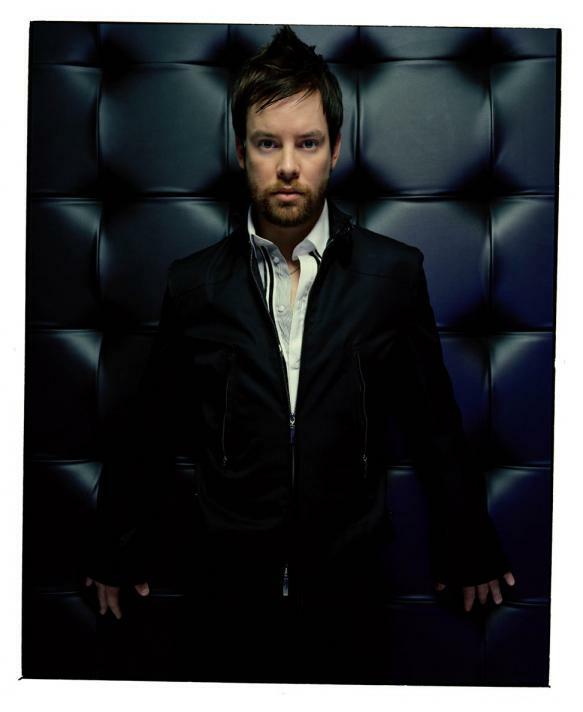 David Cook..you are one of the greats…for many, many reasons. Great interview with very good questions. It’s always great to hear about the record-writing process and it was fun learning the details of his Extreme Makeover experience. Such an awesome guy. Also my favorite Idol. Love him. Cant wait for the next album and tour!! Great interview. What a nice guy. This is a GREAT interview! I enjoyed it very much! I am a BIG fan of Mr. David Cook. He is truly a Class Act and his answers to the questions put to him, were heartfelt, genuine and humble. He is a true American Idol…and a down to earth NICE bloke!!! I am proud to call myself a fan. He will have my support for MANY years down the line or for as long as he wants me and needs me! Great singer and he puts himself out there in memory of his brother. As usual, David is genuinely humble and really gets what life is about. It is not about us! It is about how others can teach us and how we give of ourselves to others. He nails it everytime!!!! that is why we truly admire and love him! i will be watching!!! This was a great interview with David Cook because it covers his concern for others, his music and what he is working on. I am a fan of David because of his music and his generous heart. Love it. Love him. Thank you! Great interview – thank you so much for posting it. I’m definitely looking forward to watching EM:HE this Sunday. This was a great interview, and thank you for using my question about the record’s theme. I think it will be interesting to see after all the songs are written whether a theme develops subconsciously, or perhaps through the song selection process. Where can I purchase one of the pillows?